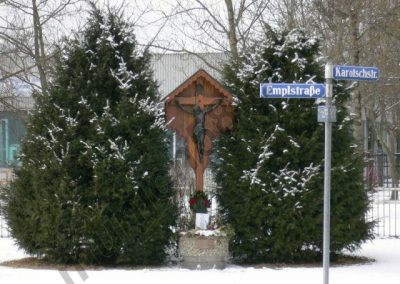 There is a field cross-memorial in the village of Kirchtrudering (where the crash occured), It is at the corner of Karotschstraße and Emplstraße. 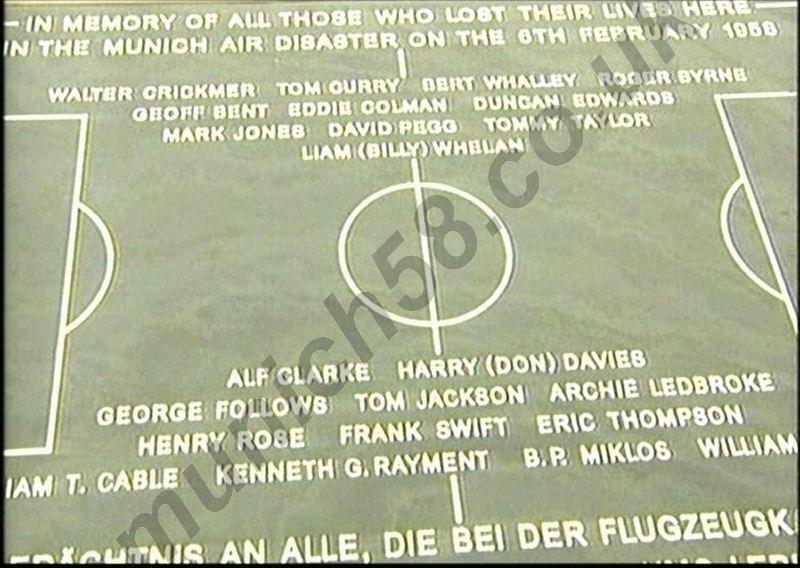 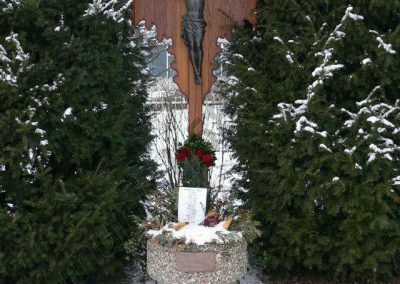 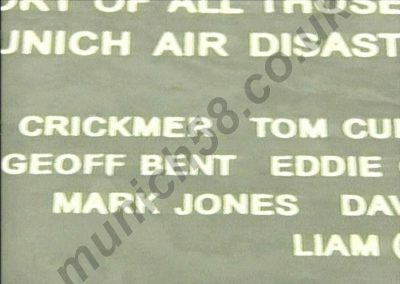 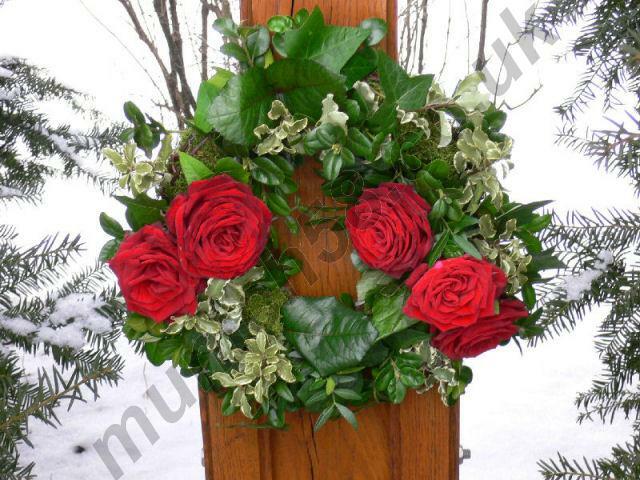 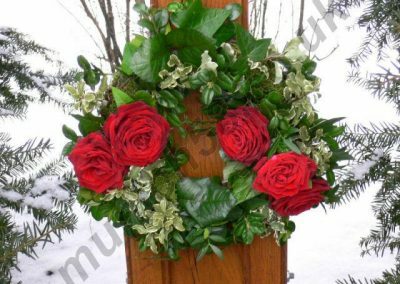 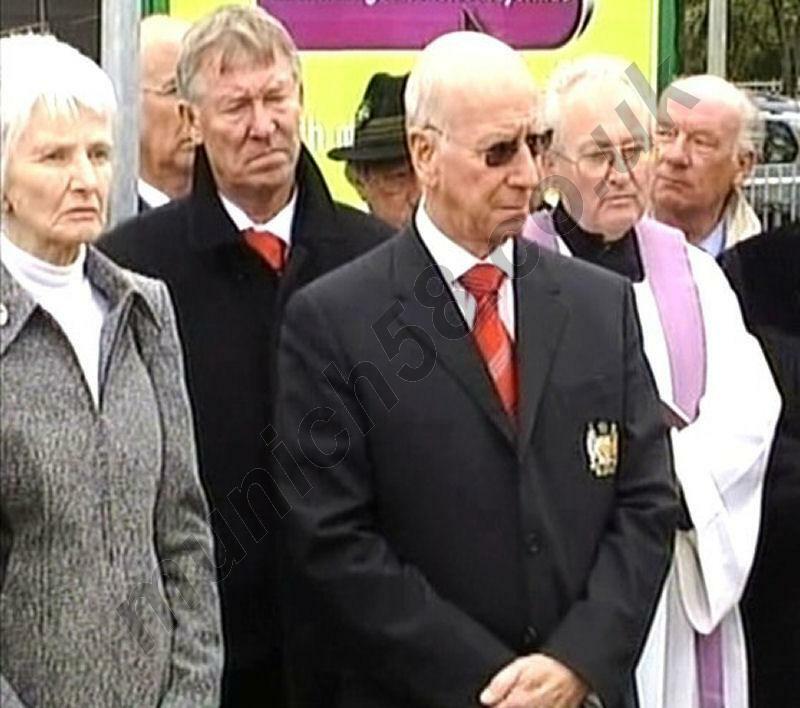 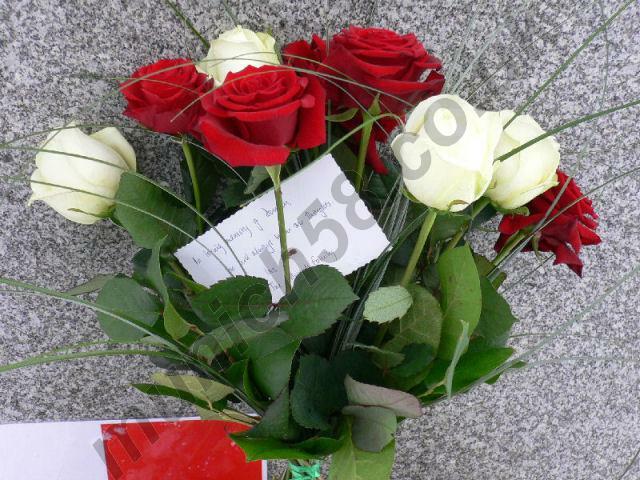 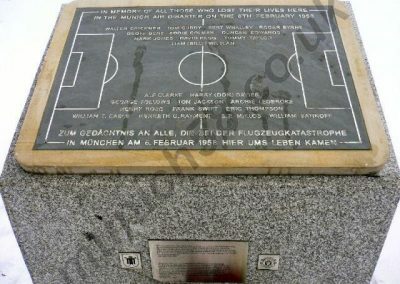 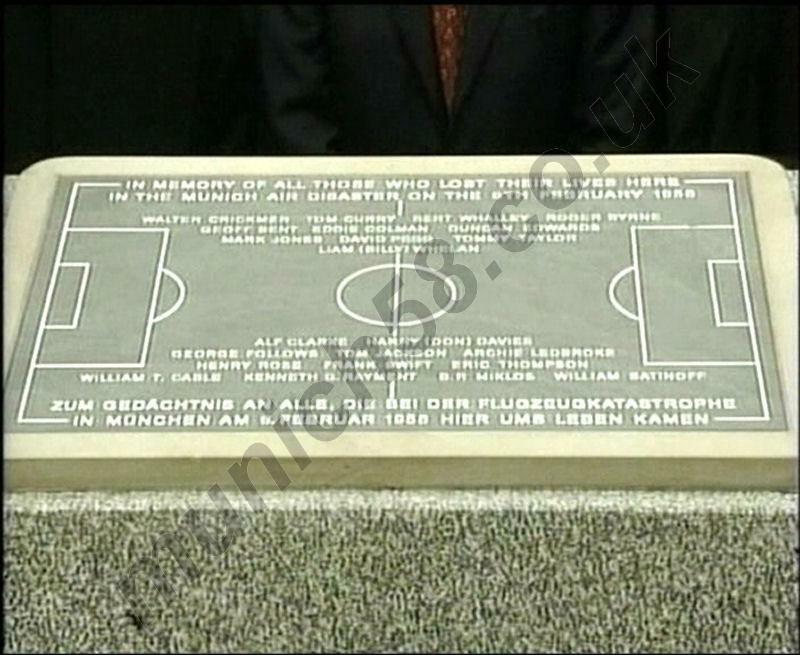 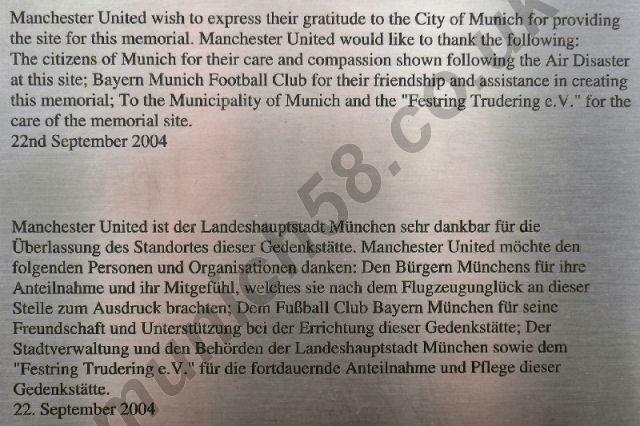 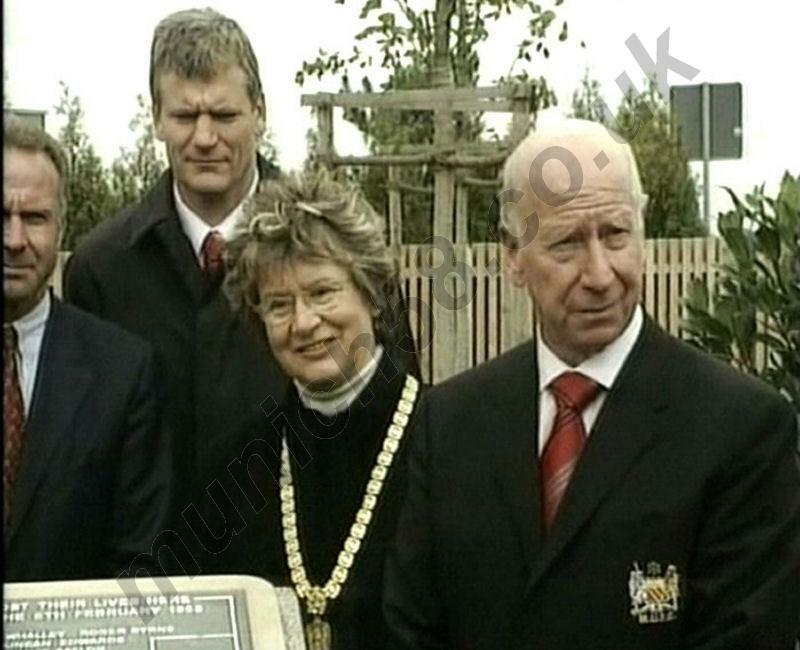 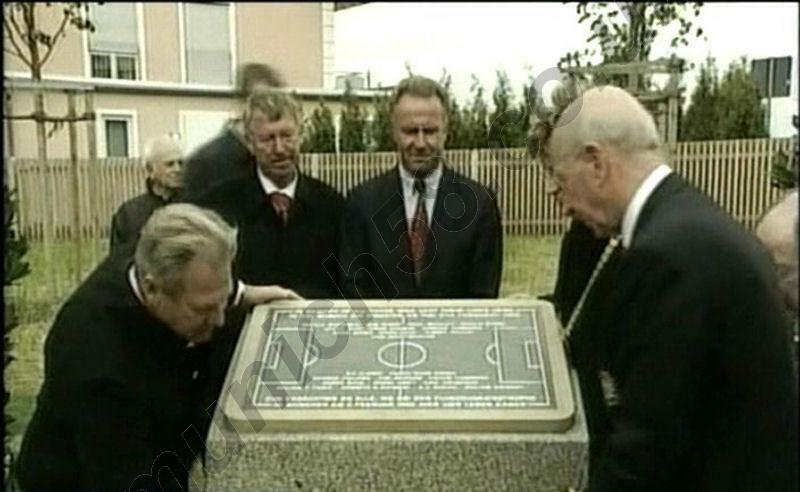 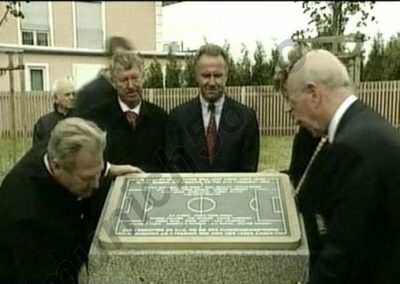 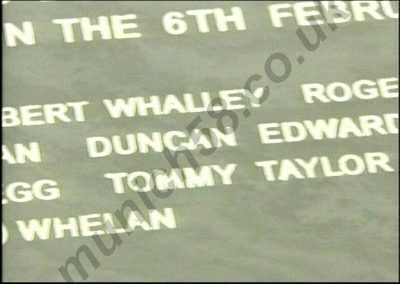 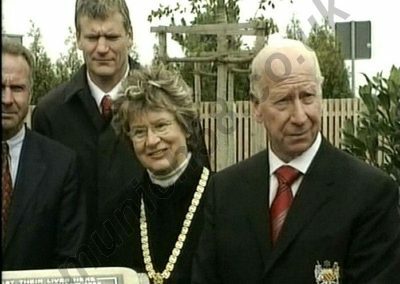 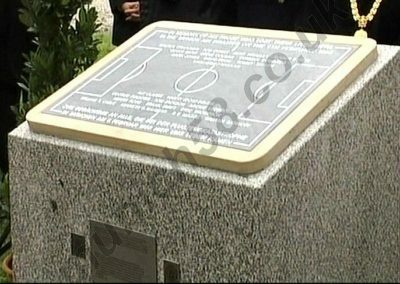 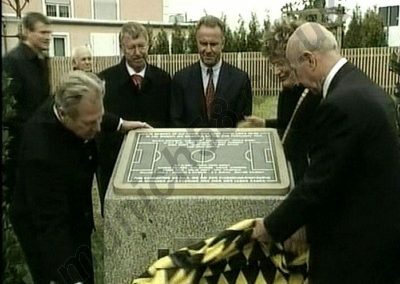 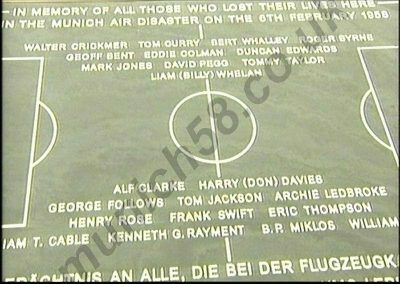 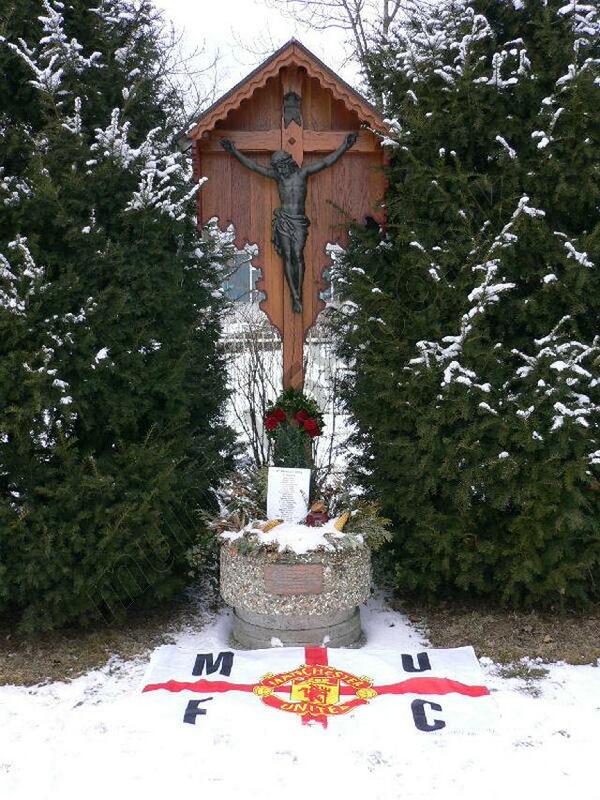 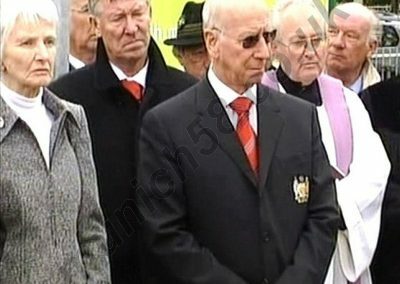 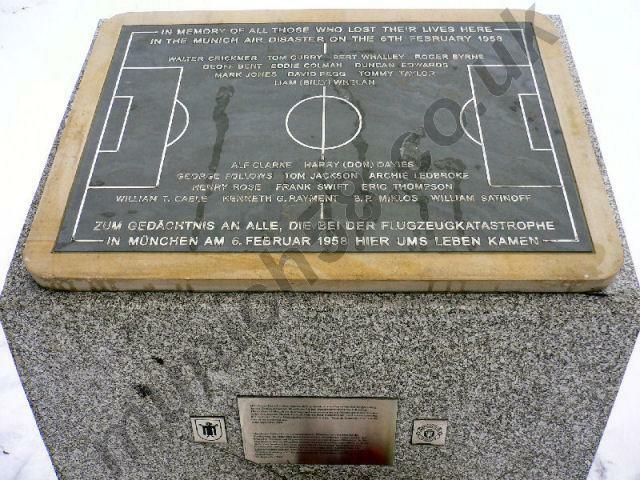 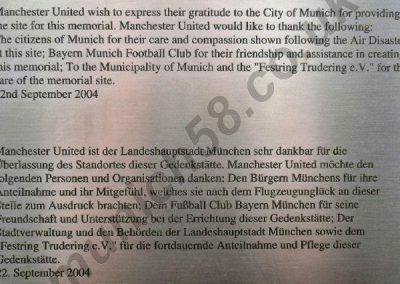 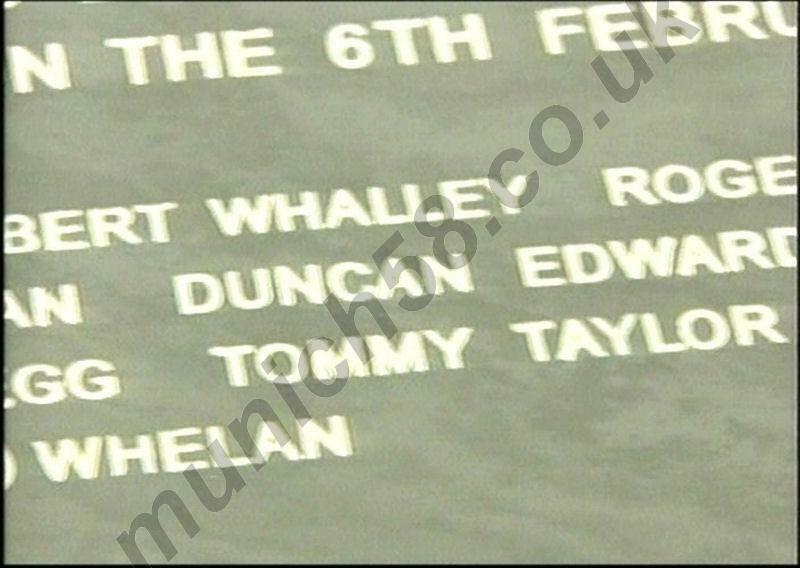 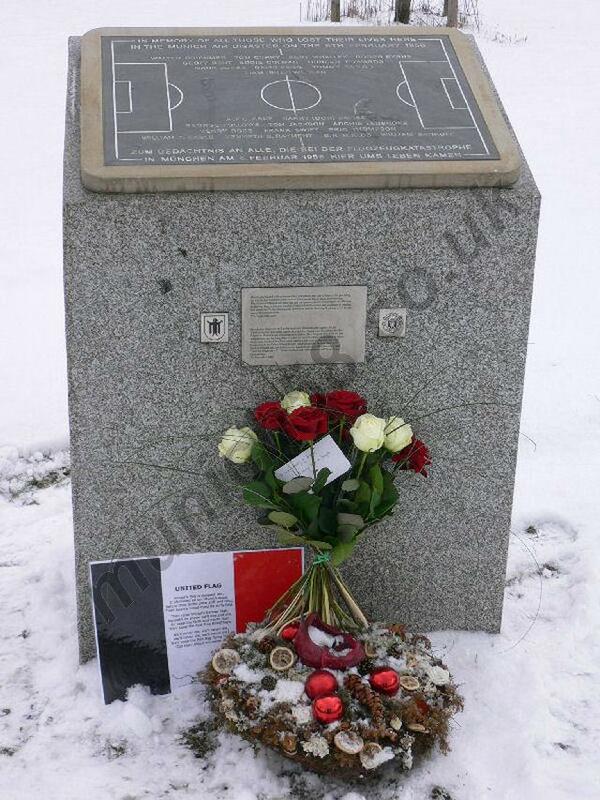 “In the memory of the victims of the air disaster of 6.2.1958 including members of the football team of Manchester United as well as all the victims from the municipality of Trudering”. 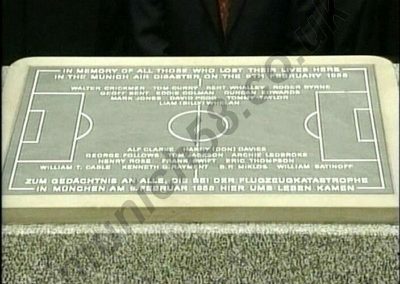 The old Reim airport no longer exists. 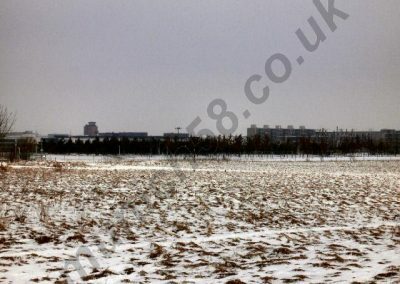 The old airport grounds have been redeveloped into the Munich Trade Fair Centre, called the Messe München, but the old tower is still there. 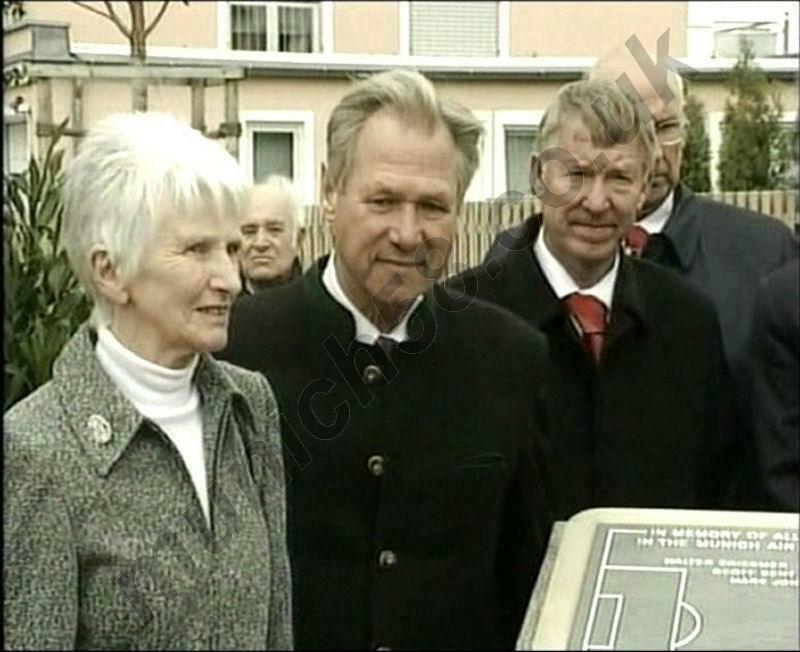 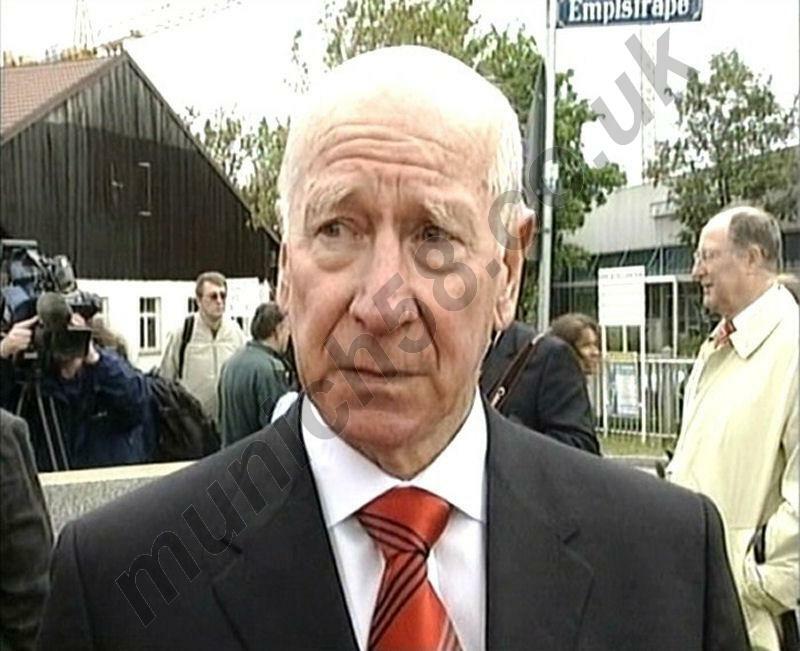 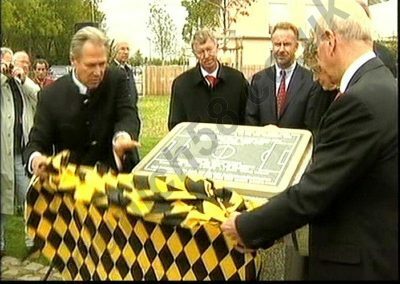 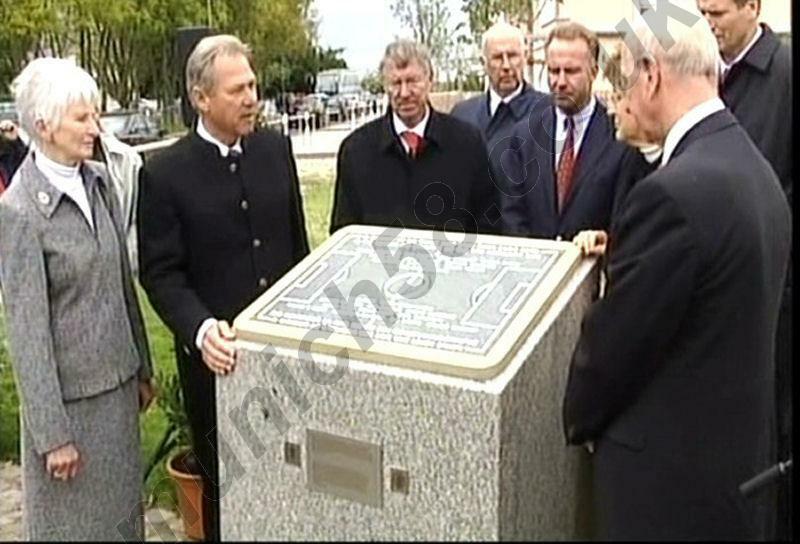 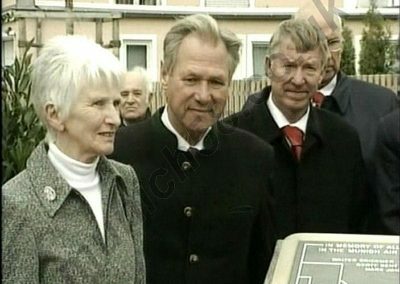 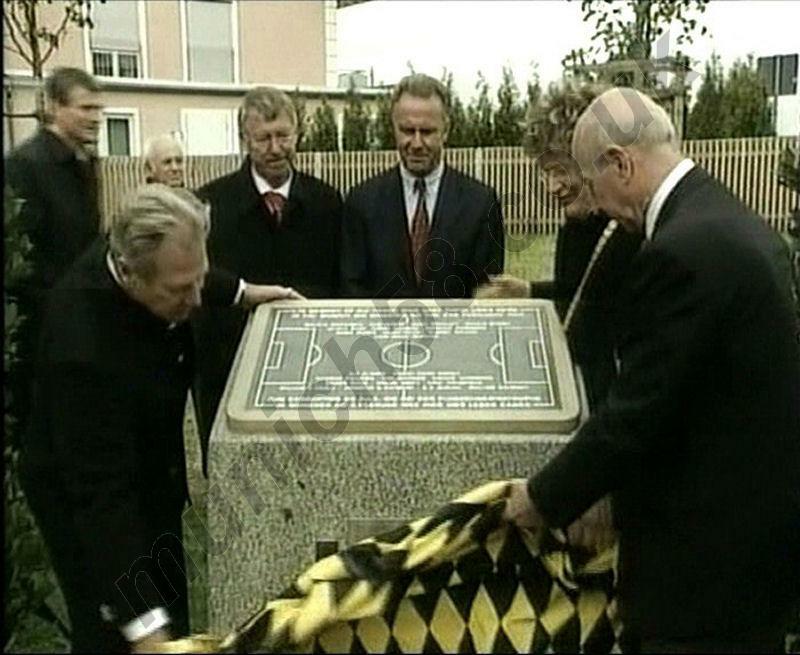 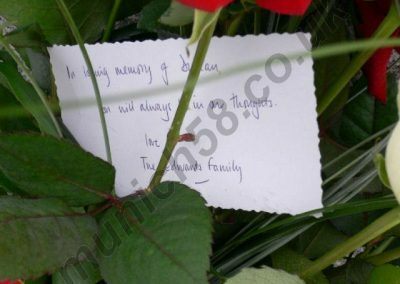 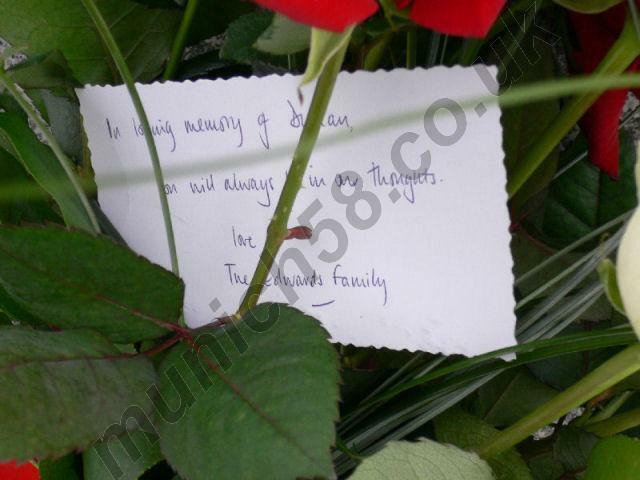 In September 2004, a new memorial was unveiled at Munich Airport. 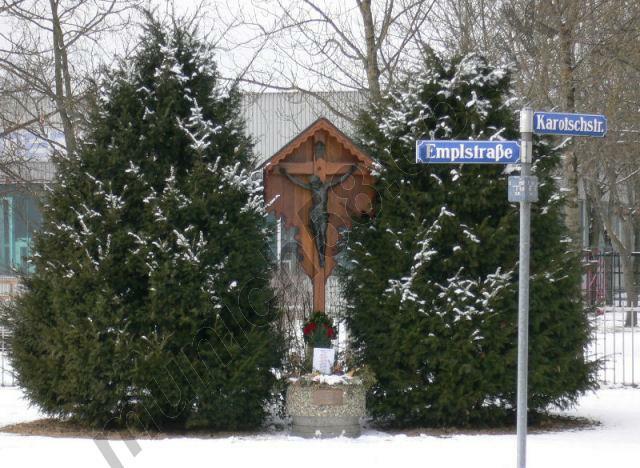 The original memorial is on the corner of Emplstraße and Karotschstraße,but the new memorial is visible from the original memorial and is on the corner of Emplstraße and Rappenweg. Nearest station is ‘Trudering’ on the U2 and S4 lines. 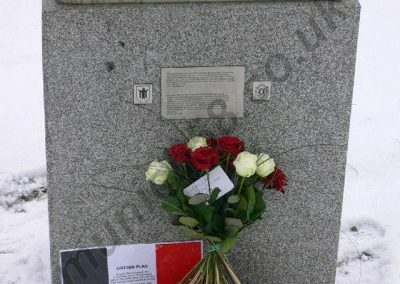 The map below shows the way to the memorials from the station (thanks to Gareth Leonard).